Disclaimer: The FiiO FH5 sent to us for the purposes of this review is a sample and does not have to be returned. Thank you to FiiO for giving us this opportunity. FiiO has been releasing IEMs at a rapid rate over the last two years with some success I might add. The FiiO F9 Pro was perhaps their best to date though I did enjoy the F5 for his price to performance ratio. The balanced cable options also gave them an added performance dimension. Alongside their “F” Series, has been their alternative “FH” series, which to date, contains only the entry-level FH1. 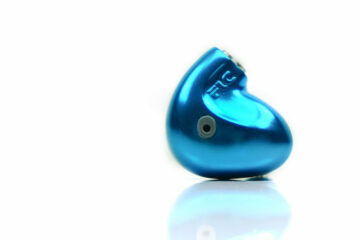 This is a dual driver hybrid IEM and at $74.99 sat just below the F9 and above the F5. It was also signified the start of FiiO’s formal relationship with Knowles who make some of the best BA drivers in the market today. Roll on Mid-2018 and we now have the FH5 which is their top-of-the-line IEM in all ranges though still within the FH range. 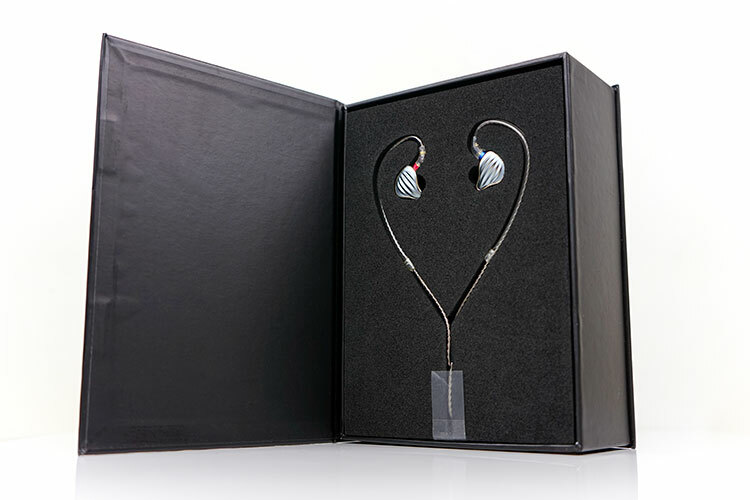 This is quad driver hybrid IEM priced at $269.99 and double the price of their previous TOTL F9 Pro. FiiO mean business with this release. It is decidedly mid-fi in pitch and price and will be competing with IEM’s from the likes of Fidue, Noble, and Oriveti. 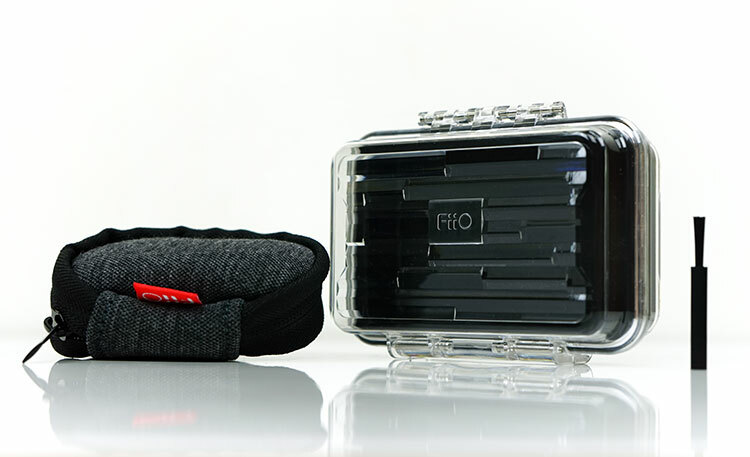 The FiiO FH5 is a quad-driver in-ear monitor. The driver mix is a single 10mm dynamic driver and 3 balanced armature drivers. The frequency split is the dynamic driver for the lows, a single larger mid-range BA for the mids and a dual driver for the lower and upper treble. FiiO has stuck with the same type of dynamic driver from the F9 Pro only they went a size bigger. This is a PEK Polymer Nanocomposite 10mm driver as opposed to the F9 Pro’s smaller 9.2mm version. However, with the use of 3 BA drivers, the larger driver is not being asked to cover so much of the midrange as it was in the F9 Pro. FiiO also uses a triple-bore tube design on the FH5 with an active crossover for phase control. One of the bores, specifically for the dynamic driver and the low-end of the FR is equipped with what FiiO calls their “S.TURBO” technology. From what I can tell it is supposed to improve the low pass filtering (LPF) capabilities of the FH5 by cutting out as much of the mid and high range frequencies within a specific band range and ensuring the driver is more focused on delivering a quality low-end. The mids and highs drivers of the FH5 are still from Knowles though they have been upgraded to a single ED30262 for the mids and a dual driver TWFK-31082. FiiO believes with these better performing mix of BA drivers they have been able to produce a more refined and smoother sound than their entry-level hybrid range from 2017. The FH5 is bigger and deeper than the F5/F9 series. The larger diameter of the dynamic driver combined with the additional tubing split for 3 as opposed to 2 drivers may have had a direct effect on the chamber sizing. Mind you, anyone who has seen Westone’s W80 8-driver ‘Antman special’ might disagree on more drivers equals bigger housing. The form factor is also not quite as “jelly-beaned” as their F9 Series IEMs. There is a bit more substance to the styling this time around. The FH5 is a 3-piece unit but the top two are quite slim and create the all-important visual look. Structurally there is more to it than that. FiiO calls this a ‘TRISHELL’ build with the second layer not only providing a gold accent design finish but also locking into the main body via screws to enhance the rigidity of the FH5 body. All 3 components of the FH5 shells are machined from a CNC aluminum-magnesium alloy. The body and face plate are given the same sandblasted and anodized titanium finish as the F9 Pro. Only the divider plate and MMCX connectors differ in finish. The divider plate has a gold color that acts as a design accent contrast to the titanium monotone finish of the body. 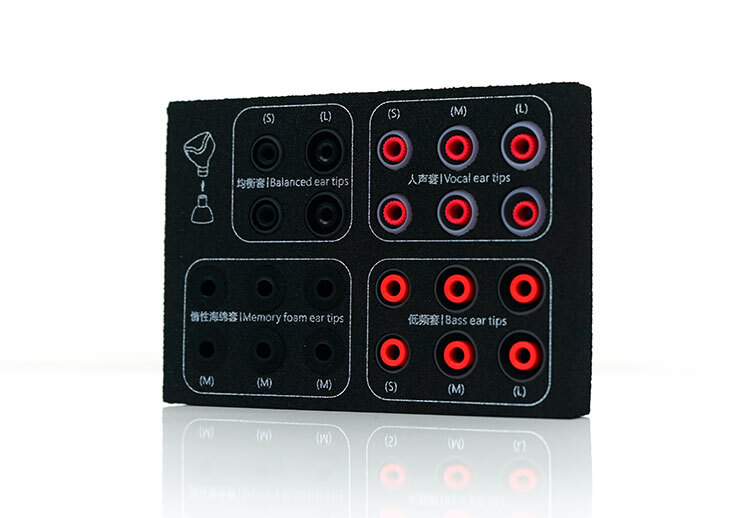 The MMCX connectors are surrounded by a small blue and red color scheme to differentiate left from right very quickly. The top layer faceplate also has a soft grooved and slightly raised design that FiiO describes as being “exotic” and taken inspiration from classic streamliner vehicles. My only issue is what kind of streamliner did they have in mind? You can have the old Plymouth based Keen streamliner car, a streamliner train or a streamliner boat like the mid-40’s Greavette. My bet is on the car. It looks like a hood or a front grill of sorts. The FiiO FH5 uses a standard MMCX connection, however, the angle on them is much more finger-friendly than the F9 series. The angle is a little more perpendicular to the body and much easier to gently snap out. The F9 connection was angled and more slippery and to be honest there were times I thought I would break the port trying to detach. Both FH5 MMCX barrels are also a little thicker on the FH5 providing a better grip for disconnecting as a result. Both sockets are colored coordinated in red and blue for easy channel matching and are positioned at the top of the body making the FH5 an exclusively over-the-ear design. I say stock cable as in singular because the FH5 does not come with a balanced version of their stock cable. I am a little surprised with that because going balanced was a huge theme in their Infinity Sound branding just a few months ago. For now, it seems to have stopped in the IEM range with the FH5. Having said that the stock cable is of a much higher quality than the stock cables of the F9 and F5. This is a 1.2m mono-crystalline silver-plated braided copper wire with a TPU (Thermoplastic polyurethane) jacket. Whilst it does not indicate as such this seems to be a 4-wire with an approximate 26-28AWG gauge though before the Y-Split the wire is for left and right channel run parallel instead of one continuous bind. This is a fairly light cable with virtually no memory retention and absolutely noise free on the physical wire when in motion (microphonics). 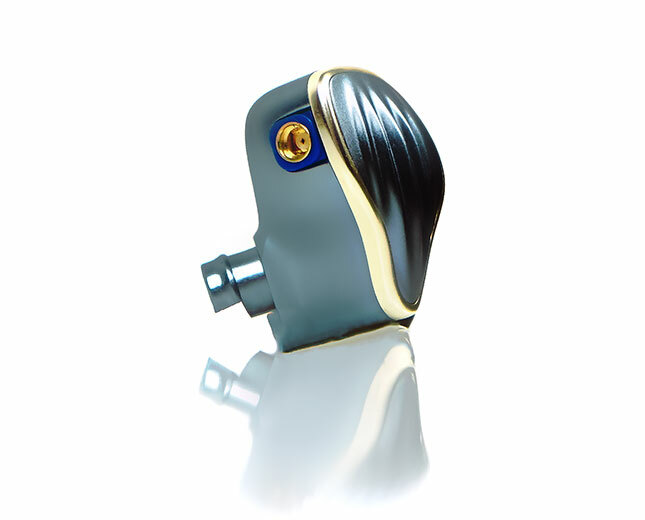 It is terminated with an anodized right-angle 3.5mm TRSS jack with excellent strain relief. The lightweight and small y-split barrel is similarly finished with a detachable chin cinch. On a physical level, I am quite impressed with this cable but would love it if it was terminated with a 2.5mm TRRS jack with matching 4.4mm conversion jack. The cable is also finished in a fairly thick set of memory hooks that have more of a spring action than twist or retain your desired shape. They snap back into their standard form once you take them off. The FH5 pays homage to the new wave of “custom universal” designs that have been made popular by the likes of Jomo Audio and iBasso. What this means is that the contouring is intended to better accommodate all the ‘hills and valleys’ of your ear resulting in less pressure and a better fit. I should contextualize the better fit in relation to standard IEM form factors such as the Jellybean F9 or the bullet form factor of Flare Audio Flares Pro which place much more emphasis on tip quality for comfort and seal. The fit is very comfortable for me with little or no pressure issues to speak off. They are missing that tiny little dip on the underside of the shell that I find works so impressively with the iBasso IT01 in jumping the Crus of the Helix so it is not quite at that level but close enough. If you are using the PLB from Jomo Audio it is on that level only slightly heavier. The tips selection for the FH5 is top notch. Not just the quantity but the thought put into how each one will affect the sound and the arrangement into the categories based on that perceived effect. You have bass tips, vocal tips, balanced tips and foam tips. All of these tips are single bore silicone with varying stem solidity and bore width. Ideally, they will do exactly as the label suggests and we will discover that in our sound impressions on page 2. Foam tips have no sound classification but suffice to say they will attenuate the top end a little, darken and thicken the sound and add a bit more bass quantity. The only curiosity is the 3 medium foam tips compared to small, medium and large for the rest of the tips. It would have been better to go small, medium and large for the foam tips also. FiiO seems to always revert to their black packaging design when they want to get serious in their product offering, be it DAP, amp, or IEM. The FH5 continues with that understated black packaging though the internal layout is a definite upgrade on their entry-level hybrid IEMs such as the F9 and F9 Pro. Inside you get a set of accessories not too dissimilar to the F9 line up with a soft carry pouch and a hard case. The hard case is a transparent material this time instead of all-black but the contouring is much the same. The zipped soft pouch also seems to be of a higher quality than the F9 Pro pouch and provides a more portable “pocket option” than the hard case. Apart from that you get an additional cleaning brush and a nice foam carry tray for the tips which are grouped in terms of their tonal balance. Not so much, I put on about 30- 50 hours before doing the review. You should be good to go by then. Any “burn in” period with these? Oh not darker from memory but this is from a long time ago. The dynamic driver in the FH5 should be more impressive than the single Westone old BA driver, you will get much better bass and more natural bass at that. I think you will hear plenty of midrange detail also. As of now, I was a happy guy with a Cayin N3 and the W3’s, and I am also happy to understand (from your reply) the FH5 would not be less detailed. As an overall signature, would you say “clearly darker”? “clearly brighter”? An important part of listening will be Jazz, be it Miles, Getz or vocals. The FH5 will have more low-end depth and impact and a little more treble detail. I loved the W3 also when it first came out but a lot of IEMs now are more complex which is good news for you. No tried the Grado or DN-2002 but I hear good reports like yourself. Did you know Hifiman has a huge sale right now? Hello, I am searching for a replacement for my now-broken Westone 3’s, which I love when compared to my previous Hifiman RE-600S (V1), due to the huge amount of added detail on the W’s. Would you by any change know any of these and have an opinion on how the Fiio’s would compare? Oh much fuller sounding and more resolving. N5iiS is for me the best of the bunch under $500 though the new HiBy R6 Pro just announced in China is going to be very interesting. It is above $500 sadly. Yes, sure, Im looking for N5IIS. Its my mistake (sloth;-)) in short writing.. I have IE8, 1More triple, Fiio F5 and Shanling M1 (and HE4xx with Magni 3 for home). I would like upgrade my setup this year with budget aprox. 500US. The N5 is ok but obviously N5iiS much better and quieter with sensitive IEMs. Also simply more modern interface, touchscreen, faster etc, more rewarding experience. When I think of n5, I think of 30 ohms upwards. Yet to compare the two (f9 pro and 1MORE Triple). Generally 8-core is better but only if all else is equal such as the quality and guage of the wire. A 22awg 4-core could sound better than a 26awg 8-core. SPC usually has a brighter top end but retains the low-end slam of copper., All copper is generally smoother but not always such as EA’s Ares II which is quite neutral for copper. The absolute best cable I have encountered for copper is the OC Studio 8-wire 24AWG Orpheus MK5 but its $150. Mind you it is so well worth it. At around $50 you would be hunting around FiiO and iBasso aftermarket cables which may have less of a dramatic effect than the stock cable that comes with the FH5. I’m looking for a balanced 2.5mm Jack cable for these. One I found is an 8 core silver plated copper cable, another is a 6 core full copper cable and is half the price. Can you clarify for me what might be a better match with this iem? I was under the impression that 8 core was preferable but all copper sounded better. Also not sure what this usually means in terms of impedence matching etc. I don’t want to spend more than 50 on a cable here but I’m open to suggestions! HALP! We just got the revised FLC 8N yesterday so will write more about how they sound in the FLC review soon. How do you like it against FLC 8S? Thanks for the “tip off” hehe. Yeah the foams left me really cold on their performance but had the most secure fit. I also felt the foam stem size could have been slightly bigger for the nozzle. Going to grab some Symbios also and try them. try them with spiral dots – i feel it brings out the bass (like the bass tips) but doesn’t muffle the mids. That is interesting I thought their comfort levels were better than the F9 Pro but it just goes to show how unique our ears are. Maybe I would source double flange tips but if the comfort issue is out the canal I would say thats a bit trickier. Thoughts on getting these to be more comfortable? I had to return my set – missing a screen – and the shallow fit was fatiguing. People? Klaus loves neutral, Mike loves bass, I love vocals. How do you compare this with the 1more triple drivers? You people really like warm sounding gears. It’s the trend here I have noticed. Yes you are right. But you rated Tonality the same, thats what i wanted to say…. .
Hi think FH5 is clearly better than LZ A5, so it should score higher.